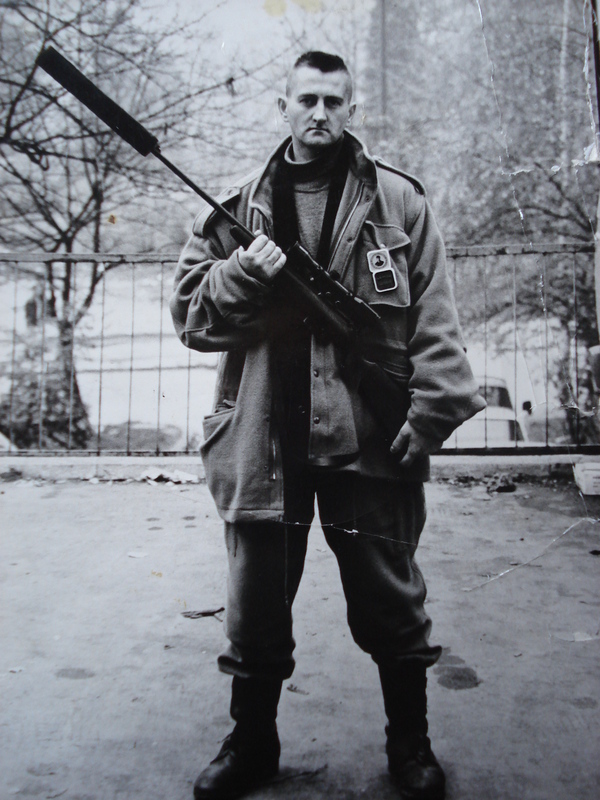 The aggressor’s sniper campaign against the population of the besieged Sarajevo during the last war was an inhuman violation of the rules or customs of war, directed principally towards civilians. 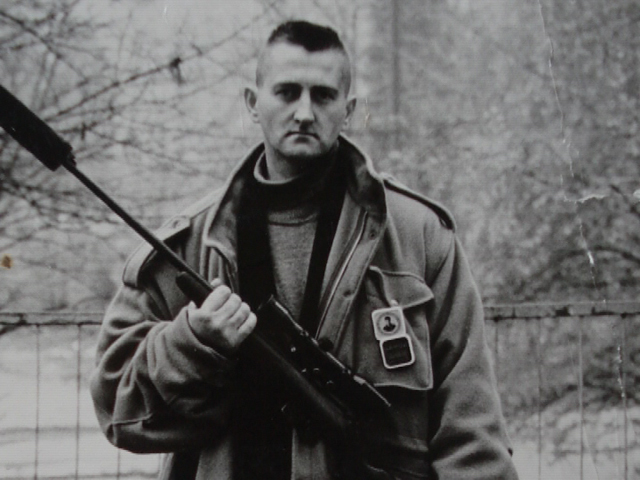 My father has been a member of the Bosnian Army from the outset of the war through 3 December 1992 when, as a sniper, he got killed by a sniper bullet which hit him in the eye. Right before his death I found his notebook into which he continuously, over several months, listed how many soldiers he had killed during his combat assignments. 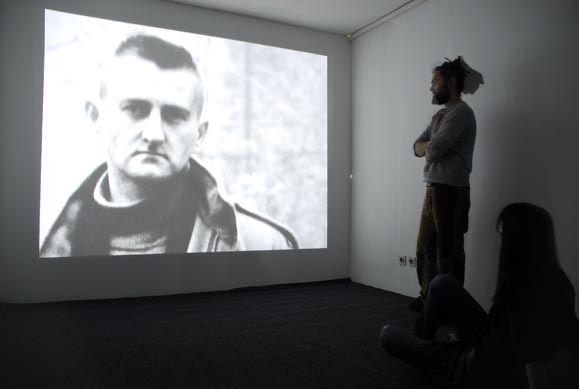 Revealing how wartime memories are intertwined with family and childhood memories, Jušić reminds us of the power of autobiographical work in questioning history and conflict. What is called into question in The Sniper is the reality of war itself, in an attempt to go beyond nationalist, ethnic or religious issues which have been the main point of discussion throughout the post-war period. 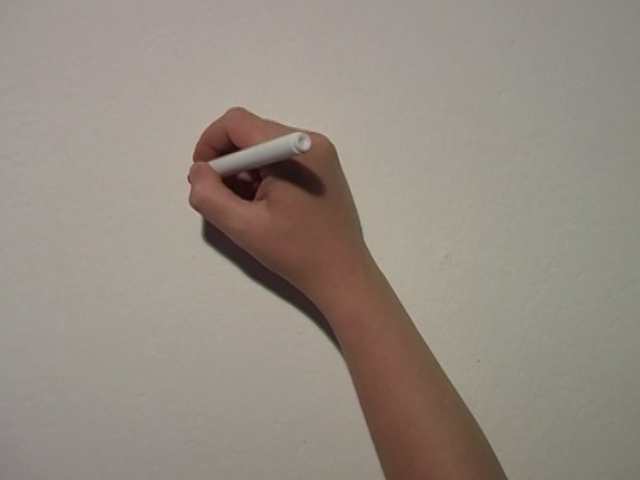 Initially the autobiographical nature of the work is not apparent: a hand is seen drawing a red dot on a white surface, accompanied by a female voiceover reading a series of diary entries. 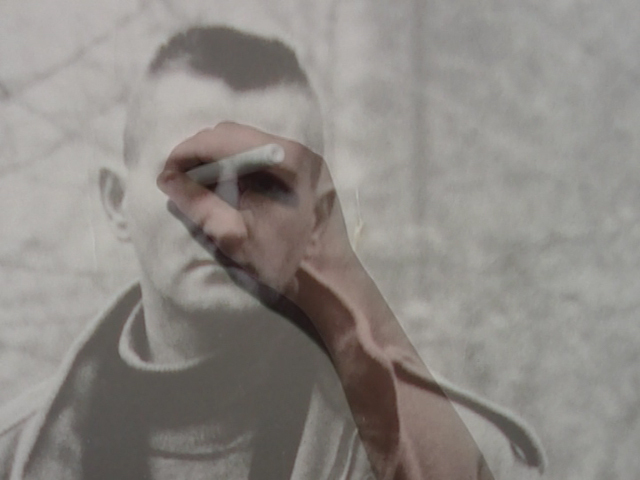 As the image of a soldier’s face gradually emerges on screen, the accompanying voices start talking over each other and the entire work becomes increasingly abstract. The climax comes on the date of December 3, with the words, “My father, the sniper, was shot by a sniper into his right eye.” This last statement not only draws all the different narrative strands together; it also defines the autobiographical nature of the work…. 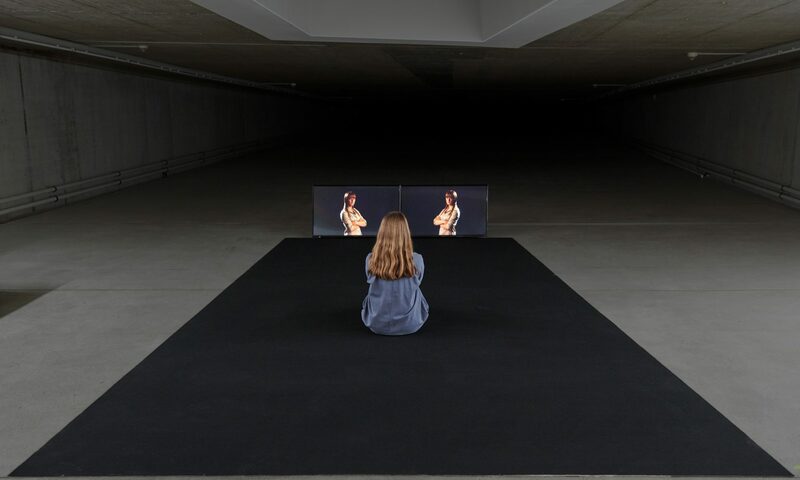 “Born in Sarajevo and growing up during the Bosnian War (1992-1995), Adela Jušić’s rhetoric is predominantly entwined with issues surrounding memory, personal tragedy and the reality of conflict. 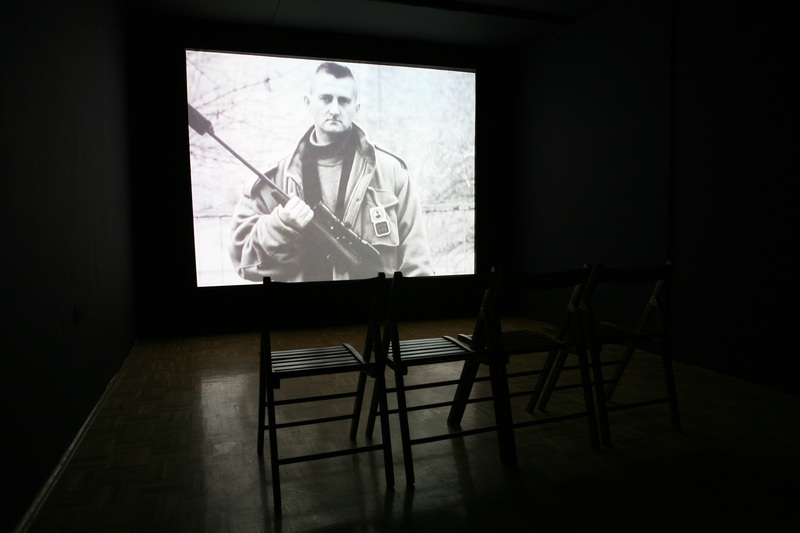 Through processing her experiences mainly through the medium of video (The Sniper, 2007), Jušić’s work is at once cathartic and objective, looking at events from a distance in order to critique and reconsider the nature of war … Revealing how wartime memories are intertwined with family and childhood memories, Jušić reminds us of the power of autobiographical work in questioning history and conflict. What is called into question in The Sniper is the reality of war itself, in an attempt to go beyond nationalist, ethnic or religious issues, which have been the main point of discussion throughout the post-war period.